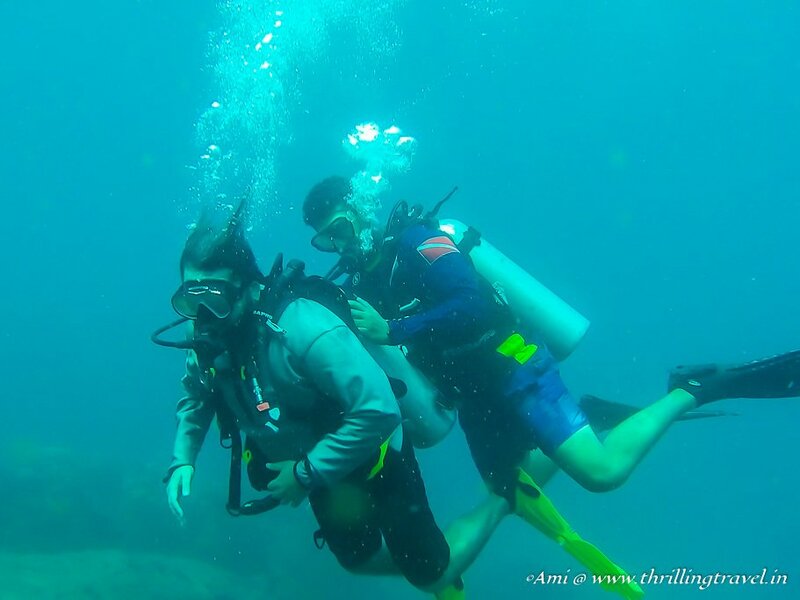 Though it has been many months since my unforgettable Scuba Dive at Havelock Islands in Andamans, that thrill of being underwater was something that I still remembered. My resolve to do an independent dive remained as strong as when I made it after my first dive. I had already gleaned information about how to get certified for Scuba Diving from the Divemasters in Havelock. All that remained was to actually sign up for the PADI Scuba Diving Course. And that is what I went on to do. With my announcement of having completed the PADI Scuba Diving course, came in a lot of congratulations and best wishes from all of you. Also, thrown in were questions on what were the requirements of such a course, where could one do it, what would it cost etc, And then, there were some who even wanted to know how it felt and if Netrani Islands, where I completed the course was worth it. 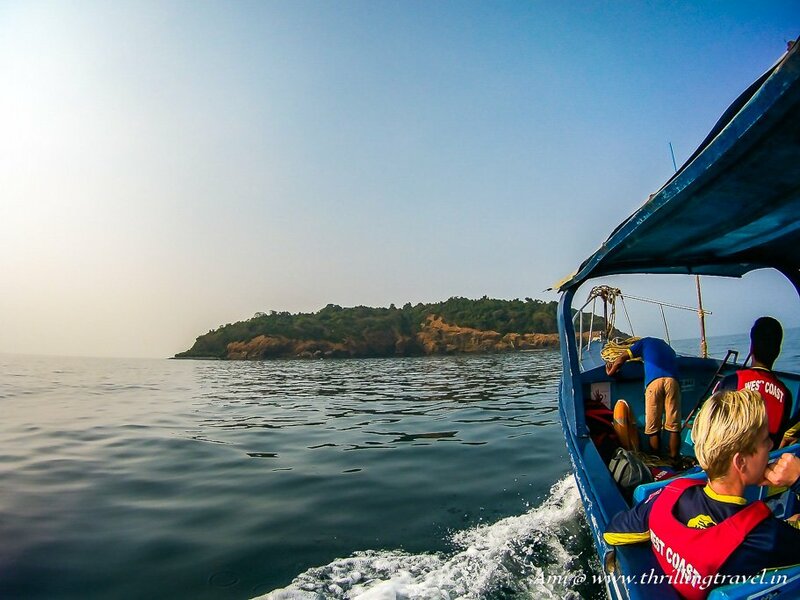 Best to compile the answers all into this mega blog post on my personal experience with the PADI Scuba Diving Course at Netrani Islands along the coasts of Karnataka in India. 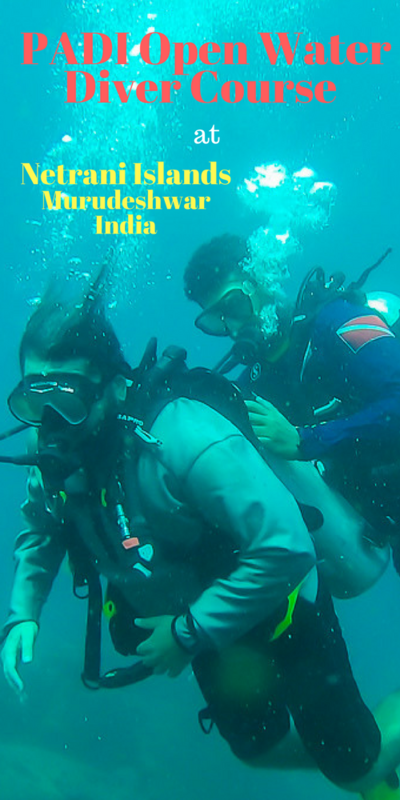 India or Abroad, there are basically two recognized diving courses – SSI (Scuba Schools International) and PADI (Professional Association of Diving Instructors). 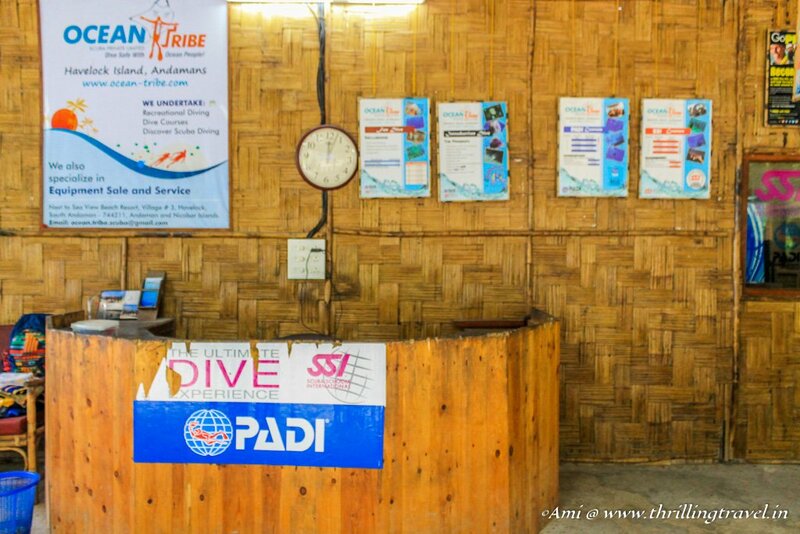 I will admit that I was familiar with only one – PADI for that is the name that I saw in most of the dive shops and resorts that I had visited. A little research into the whole system revealed that both the courses were almost similar in every aspect – costs, eligibility and even the course. The differences were minor. Talking to people, I realized that PADI was a little more popular than SSI. As is the case, Familiarity evokes trust and thus, PADI it was for me. There are plenty of PADI Scuba Diving Courses. The first step or the first level is the PADI Open Water Diver Course, which allows you to dive to a maximum depth of 18m. Only after you have completed certain number of dives, can you move ahead to the advanced courses. There are also, special courses like the underwater photography courses but again your basic PADI Open Water Diver Certification is a must for this. Naturally, this is what I opted for. 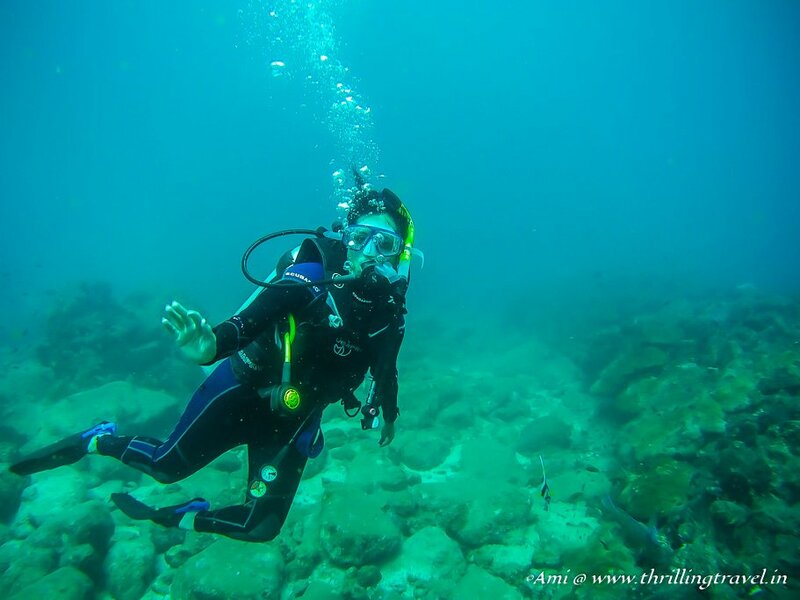 Through the blog, I refer to the PADI Open Water Diver Course only. The PADI Open Water Diver Course needs you to complete three basic modules – classroom training, confined water dives (pool training) and finally the open water dives. The first two modules can be done at any PADI center across the world while the third module can be completed at a PADI certified school or resort at any of the beach destinations. You needed to be physically fit. A detailed medical form must be signed before you enroll for the course. You must know swimming to the point that you can swim at least 200m (in any style) continuously. Another test that you must take is staying afloat for at least 10 mins. Armed with the knowledge, I was ready to sign up for my PADI Scuba Diving Course in April 2017 with Planet Scuba. However, there came in a catch. 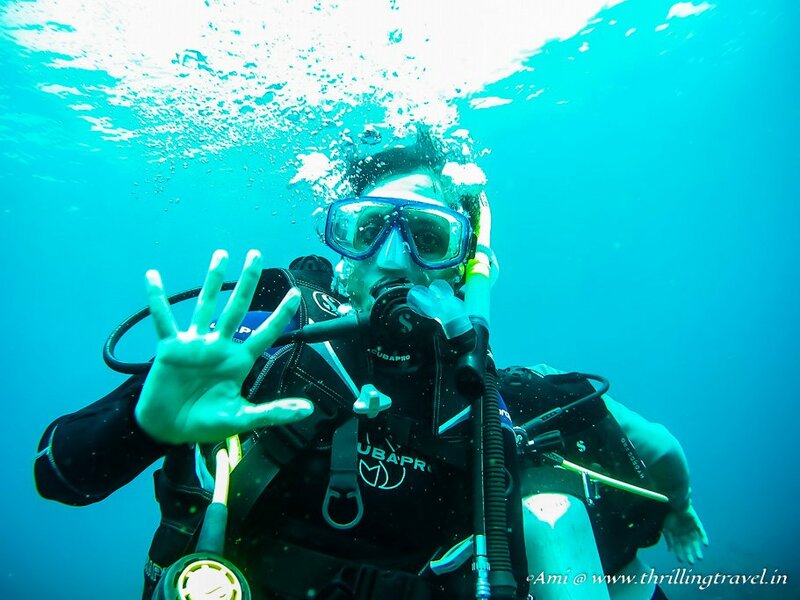 The open water dive season in India ends by April end for the monsoons make the visibility in the water an issue. It re-opens only in October and that for me was a huge gap. Thus, I postponed my course until November 2017. Come November, I paid up my PADI fees for the first two modules and sat down like a good student to absorb the classroom videos and notes. Impact of Scuba Diving on your body. It illuminates you about what happens to your body in the water at a depth. 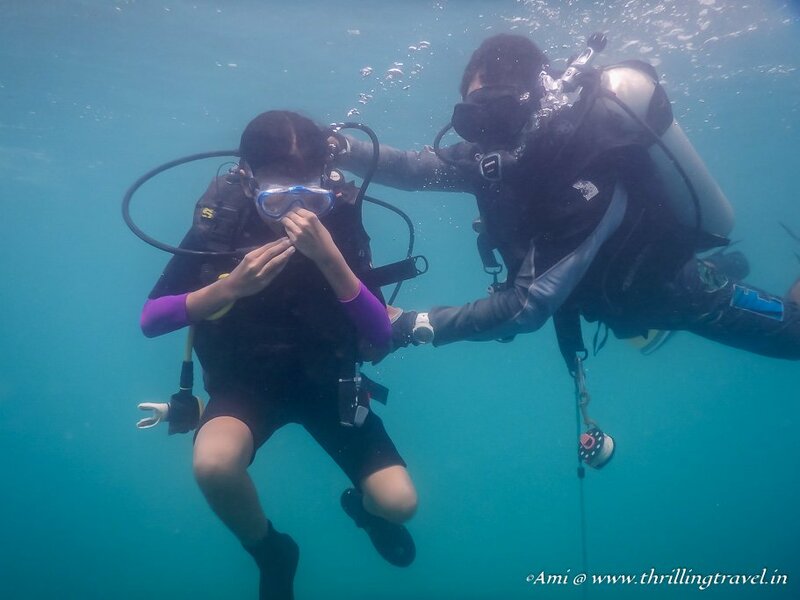 Safe Diving Norms to minimize body harm – equalizing your ear pressure, ensuring you reduce nitrogen build up in your body etc. Introduction of various equipment used in Scuba. How to assemble them and take care of it. Techniques of getting through emergency situations underwater – like if your mask gets flooded, or you get stuck without air etc. There are certain norms that you learn about Scuba diving like how to descend in water or how to come out. I enjoyed reading this all up and I also, admit that I was a little overwhelmed. 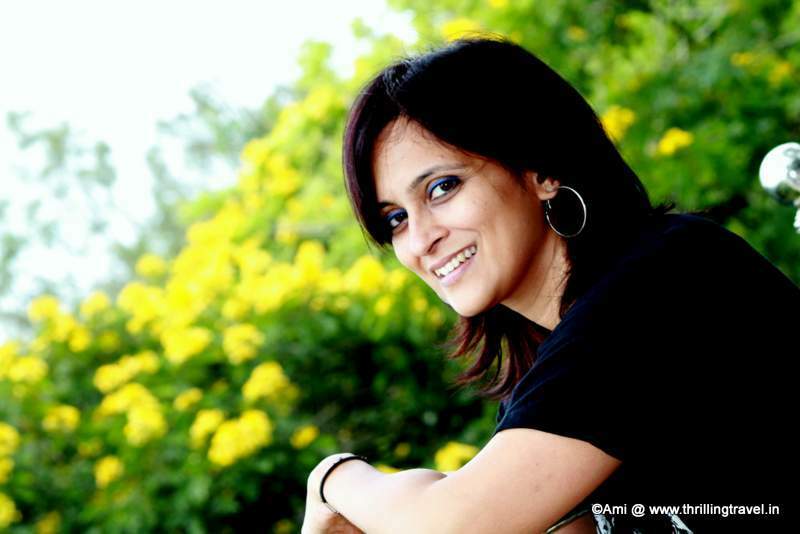 However, the next day, after meeting my instructor Ranjit, everything fell into place. He took me through the various nuances of what I read and gave examples of certain aspects of Scuba. Then, came in the classroom test, which is essentially a knowledge review with multiple choice questions. The norm is that you need to pass that with at least 70% and only then you move to module two. Fun Fact: Did you know that Diving cannot be done as a solitary activity? It has to be done with a buddy! 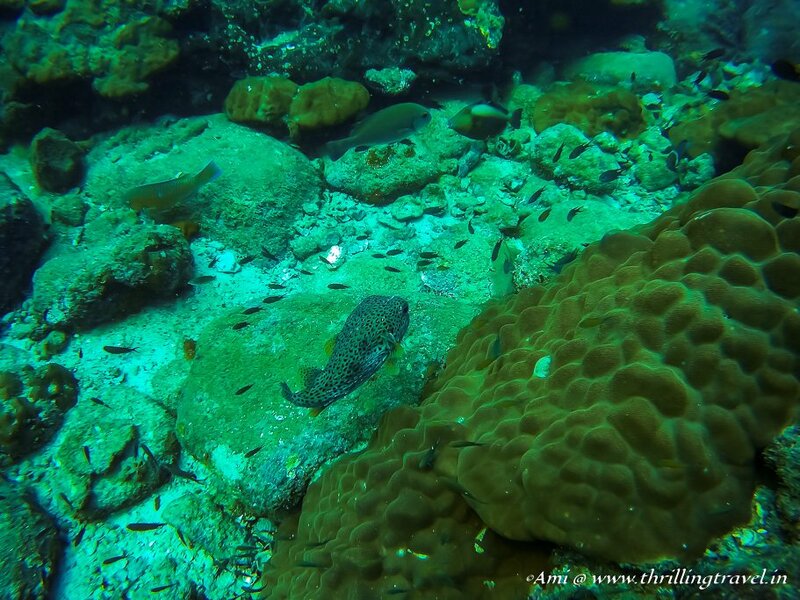 It was a fun thing to do and I, having done an assisted dive at Havelock Islands, knew what to expect. Ranjit would demonstrate every skill once and then test us to ensure that we could do it ourselves. This became our evaluation and at the end of the two sessions, we were passed and promoted to Module Three. Now all I had to do is my last and final module. Planet Scuba recommended dives in Maldives or Andamans for this. However, given the holiday season of December, both these destinations were working out really expensive. The next three options were Tarkali in Maharashtra, Goa or Netrani Island in Karnataka. The last one was my pick for its proximity and reviews. Netrani Island is an uninhabited island, off the coast of Murudeshwar. Murudeshwar is basically a temple town, a few kilometers from Gokarna. I had in my previous post on Gokarna recommended a day trip here to enjoy the beach. Netrani Island is now your additional bonus to visit here. For the last two years, the island waters were closed for Scuba following protests from the fishermen there. However, this year, it has been opened out for this sport. 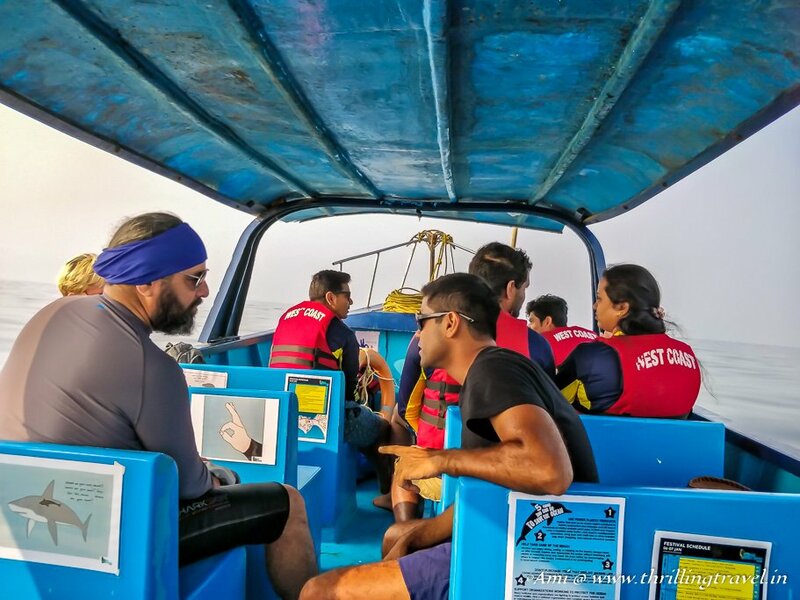 With an overnight bus journey from Bangalore, I found myself at the doorstep of West Coast Adventures – a dive shop recommended by Planet Scuba to complete my course. As a part of Module Three of the PADI Open Water Diver Course, you are required to do 4 open water dives, over 2 days. Bright and early in the morning, I stood at the Murudeshwar beach, awaiting the boat that would take us to Netrani Islands. Along the ride, my instructor – Moin, tested me on the knowledge from Module One and two, while outlining my tests for each dive. I was nervous – I wanted to pass! However, when I figured that the tests were the same that I had done in my confined water dives, I relaxed. The waters at Netrani Island are fairly clear. 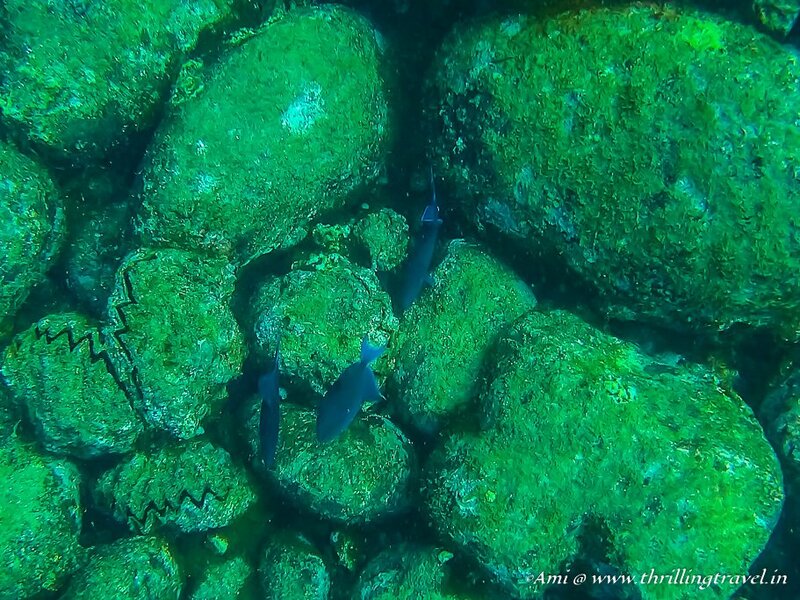 We attempted the dives at two points – The Nursery and Pebble Beach. The Nursery was a little shallow compared to the Pebble Beach. However, while the visibility was amazing at Pebble beach, the dive spot had a lot of strong undercurrents. Swimming in there was definitely a task. The dives were absolutely invigorating. Moin made the tests fun for when we had finished them, he allowed us enough time to explore. He pointed out to the various wonders of the deep sea – the colored parrot fish, hidden scorpion fish, moray eels and even, barracudas. For the first three dives, I did not take my camera in for the idea was to concentrate on mastering the proper technique. However, on the 4th dive, as a reward – Moin allowed me my camera and this is what I got back for you! Back on the boat, it was all celebration. I was now certified. The ride back to the mainland on the boat had me dreaming of the immense new possibilities that this PADI Certification had opened up. Swimming with the dolphins and the turtles is something I really want to do. Exploring the sunken ships has always been a dream. Add to that, being Indiana Jones underwater with sites like Dwarka’s sunken city gets my adrenaline up. I sure would love to see the huge Mola Mola in Malaysia and don’t even get me started about these popular Dive Sites in the world. To do Scuba Diving at Netrani Island, you need to reach Murudeshwar. This can be done from Goa, Gokarna, Bangalore or Mangalore. From any of these destinations, there are regular buses to take you to Murudeshwar. The closest destination by bus would be Gokarna or Mangalore. Mangalore and Goa are the closest airports to Murudeshwar. Both these places are also, connected by railway to Murudeshwar. Bangalore is an overnight bus journey from Murudeshwar. Netrani Island is only a day trip possibility from Murudeshwar. You can reach here via boats from Murudeshwar beach. The Boat ride is 45 mins one. If you wish to do a PADI scuba diving course directly at Netrani, it is possible. However, you will need to plan a stay for at least 5 days to finish the course – that is inclusive of all three modules described above. There are plenty of places to stay in Murudeshwar. West Coast adventures too, has a room available for students opting to take the course. It is quite safe and affordable to stay here. Be well rested for your open water dives. A good night’s sleep is a must. Avoid drinking the night before the dive. If you get sea-sick, please ensure you have a medicine before you head out to Netrani Island. Also, let the dive instructors know the same. Keep some food and water with you on the boat when you head to Netrani. Generally, the dive shops carry light snacks and fruits on the boat but it is always good to have something of your own. Fantastic post. I am not a diver but love a good old snorkel now and again but Claire did the diving schools recently and would love to check out this area for diving. I am sure she will enjoy the diving Sites here. Highly recommend Andamans as well as Netrani. Funny, I never thought about India as a scuba destination but it makes perfect sense. I actually got my PADI certification in Philippines and was so happy we did since the diving was incredible! Phillipines is one place that I want to dive as well. India has a few spots alright and some are quite nice too. love reading this post, full of useful information. Though I have some fear of deep water and don’t meet the criteria as well. 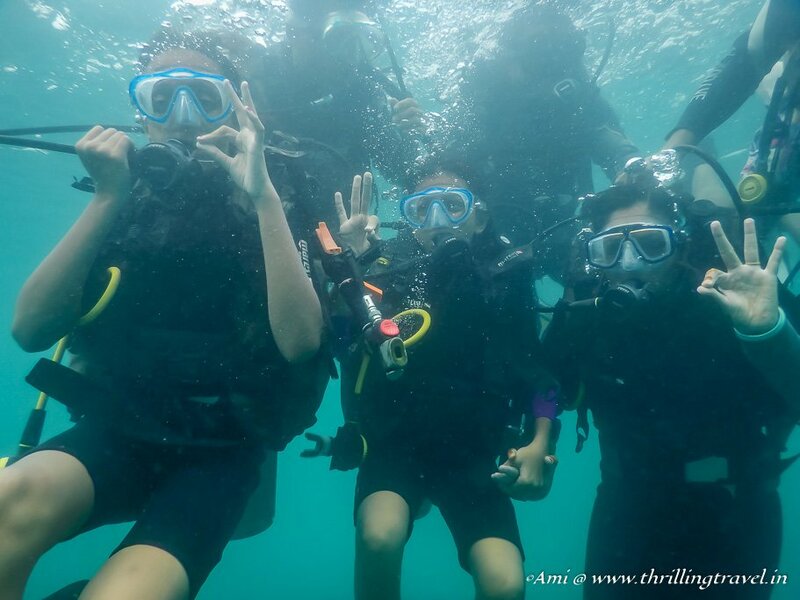 My family is extremely interested to learn scuba diving, we will include PADI course when we visit Andaman or Indonesia. Thanks for this detailed post. Well done! Congrats on earning your scuba diver certificate. It’s always been a dream of mine to go scuba diving, but I’ve never gotten around to getting certified. The Netrani Islands waters looks so clear! Great capture of underwater life! This looks so cool! Yeah I actually never realized how hard it probably is to keep a camera steady underwater haha, but it looks like you got some great footage/pics! I would love to do this someday. Genuinely don’t know if I could pass the swim test though/staying afloat for ten minutes hahah i haven’t done that since I was on swim team like 12 years ago!! Wow! Seems amazing. I have wanted to learn how to dive. Looks like you havd a great experience. I am kinda envious, diving pass is something I want to get, but it takes too much time. It doesn’t actually Alexander. Less than a week actually. Am sure you can manage that for this exclusive passport to the undersea. I’ve never seen a post telling what is actually necessary to get PADI certified so this is a first. I learned alot. My daughter and husband are both divers but it never interested me other than seeing the pretty fish. Lots of great information here. I’ve never been on a diving course so it was great to learn all about it from your post. Maybe I will do the same one day! Scuba has been on my bucket list for the longest time now. Thank you for this post. It is quite informative and will help me quite a bit as and when I try and get a certification for myself. Glad to be of help and I hope you can get this done sooner. I wish I had, it really opens out a lot of new travel opportunities. This is such a great post. I m not a diver and never did scuba but my husband would certainly love this. We missed getting to netrani island last time but hope this scuba will definitely take us back there to explore underwater world. Thanks for sharing. Omg this adventure is still in my bucket list. I know how to dive and swim, but haven’t tried scuba diving and see the beauty underneath. I hope you get to it this year Blair. All the best for it. Glad to be of help. I hope you attempt this course, you will get a lot more flexibility with your dives. Interesting to learn about the SSI course as I also had only ever heard of PADI. I attempted an introductory PADI course in 2014 in Cambodia, but freaked out about breathing underwater. I definitely want to try again as everyone raves about the underwater world that you can only experience when you dive deeper. It sounds like you had a much more extensive course, and it’s great they went into how to be a responsible diver. I hadn’t considered getting certified in India, but it’s great to know that option to take such a good course is there in Murudeshwar. Plus you saw some pretty amazing underwater creatures! I also knew only of PADI! Thanks for enlightening me! This is one heck of an experience which I”m yet to experience. Btw, which camera did you use? Congratulations! It sounds like an exciting adventure, and accomplishment, that you should be proud of! I can only imagine how the adrenaline would keep you up at night. The photos are incredible! This gives me some inspiration to conquer my fear of being submerged in the deep blue sea! That’s so amazing for you! Congrats! My hubby and I have talked about becoming PADI certified and I love how this post shows the steps in the process. It makes sense for us to do the first 2 modules from home and then plan a trip somewhere to complete the 3rd module. I’m concerned about the floating part, though. I can swim but floating is super hard for me. Definitely bookmarking this post because I love your step-by-step process. Thank you Meg for the lovely comment. Am glad you found the post useful. 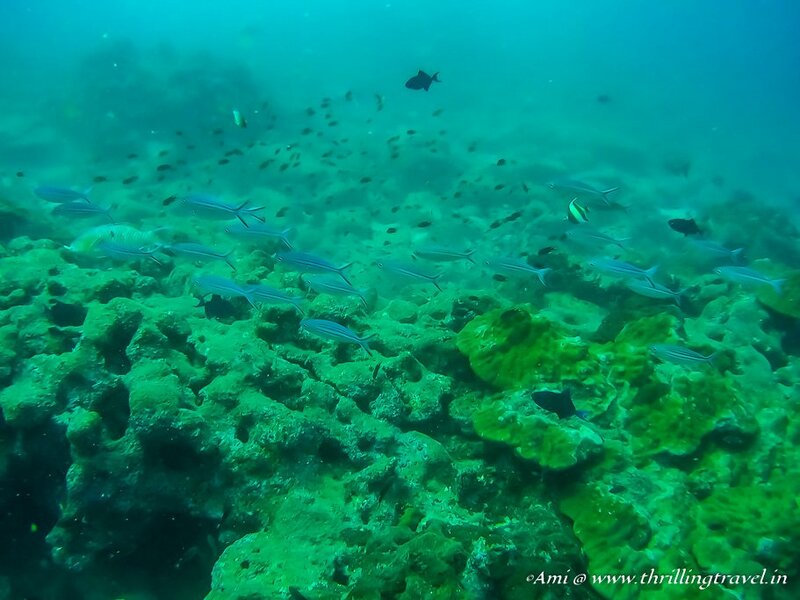 Andamans definitely is an amazing choice for a scuba course. They have so many dive sites as well. Hope you get to it soon. Congratulations! That’s awesome! I haven’t tried scuba yet but I LOVE snorkeling so maybe I need to give it a shot? I’m a little bit scared to try it. But, it is something to aspire to do for sure. Thanks for walking me through the process in your article. Glad to be of help Lauren. I hope you do your first dive soon. If you like snorkeling, you might just like it a little deeper too. wow, looks like a fantastic experience. thank you for the detailed guide. i need that rush of adrenaline too! Thank you for the very detailed information on the steps to get a certification. Interesting facts about getting the first 2 steps done in any worldwide PADI certification. I’m not a diver but would think this aspect would be beneficial for some people wishing to save some extra expenses. Thanks Nathalie. I hope that people benefit from the tips. It is a great way to explore the underwater. Ha ha Lydia. The instructor bit is way off for you have to do certain no of dives before you can even attempt a course. My next aim is to go for more dives this year. Fingers crossed for it. I wish I had discovered Diving while I was in my 20s, I would have spent a lot of time underwater. I did not know that PADI course could be done so easily – thanks for compiling all the information so neatly. That course sounds like a must for those who are into diving. I have only been diving once and it was an unforgettable experience. I hope to do it again soon. This post just reminded me how much I enjoyed that experience. What a detailed post! I’ve always thought it would be wonderful to scuba dive. I think it would be like swimming in an aquarium!! Snorkeling has been so much fun and scuba diving has to even better! I need to practice my swimming before I give it a try though. Definitely a good move going with PADI. Although the courses may look the same, I hear that some places do not recognise SSI. I did a lot of my certification in a cold and dark quarry in England so this definitely looks like a better option. What a thrill for you to learn to scuba dive. I didn’t realize all the steps it took, but it makes sense that you must pass many tests. 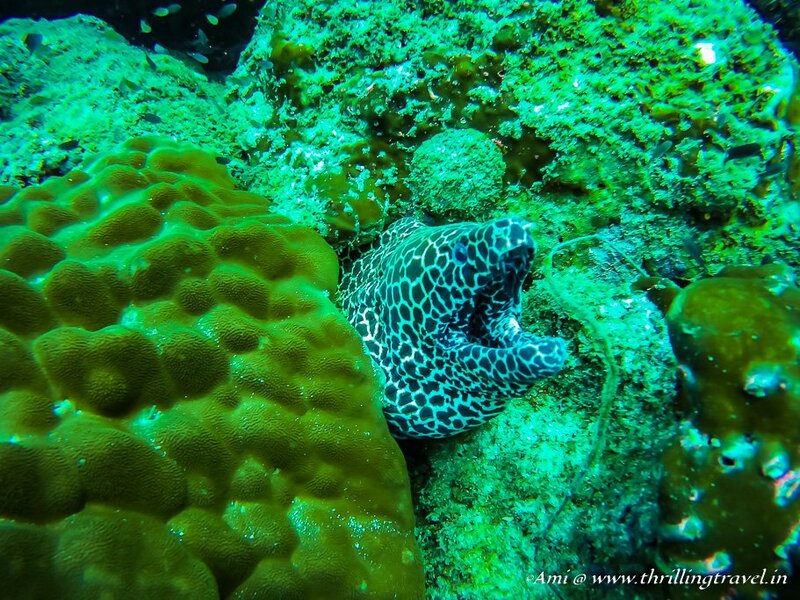 The sea life you see would be worth all the effort for sure! Totally worth the effort. I am glad I could finish my course for I am now raring to go for my dives. Welcome to the club! Such an incredible experience to be able to get your certification abroad and in a cool place like Netrani Islands! 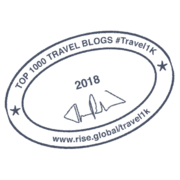 I have PADI certifications and although there’s not a huge difference between that and SSI, PADI is certainly more widely recognised. I’m PADI AOW and am totally keen to keep up the training and do my Rescue Diver next! Good luck with your diving endeavours! Awesome moments you capcture. Thanks for share. Pls do. And hope you get here soon before the monsoon as that is when scuba stops here till October. I am so jealous! I wanted to get a certification but my pesky allergic rhinitis held me off just 2 dives into my course. So for now i just do discover scuba every time. At least i still get to scuba, not certified though. Congratulations on your certification! That’s a lot of effort to go through, but I bet so worth it in the end! I don’t know why I was surprised to read of India having so many amazing diving spots (the coast is pretty incredible), but I was! The amount of times I visited but have never given it much thought – diving is something I’ve always loved the idea of, but in reality think it would terrify me. I HATE open water – could just about manage snorkelling in shallow waters in belize without panicking. We have been planning for long now to give the Scuba diving a try and explore the wonderful world underwater. We had no idea the courses could be done in Murudeshwar too. Kudos to you for having completed the course and thanks for these great tips! The PADI diver course sounds so intense but so worth it! I love how really prepares you for open water diving which is really helpful as a traveller. You also get to dive in different countries so there’s that, not to mention that amazing marine life you get to explore! Oh this is so amazing! Congratulations on being a certified scuba diver! I have never tried scuba diving before but it is one of my long waited dreams. So good to hear you can get certification beainn in Bangalore, that sure does make things easier for many. Glad you enjoyed it too and I hope you can visit there again. I do wish to do so myself. 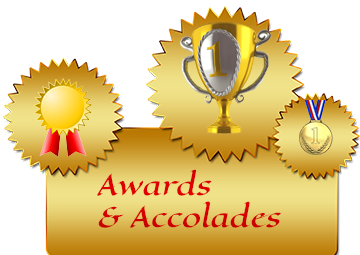 Congrats for your achievements. The post was very informative for a person who would like to do the PADI certifications. 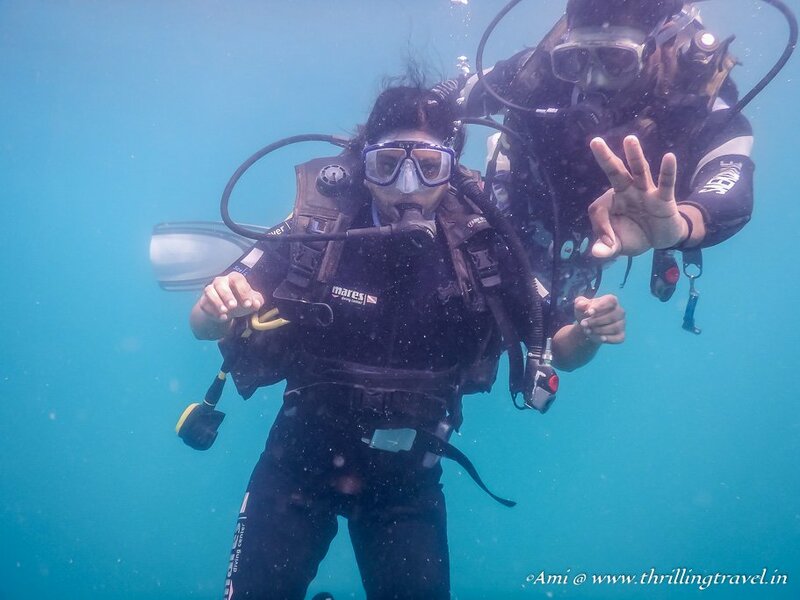 There are many dive centers in Pondichery and Mahabaipuram also, anyone form Banglore or Chennai can try that also. Thanks Jithin. I have heard of the dive centers in Mahabalipuram and Pondicherry. Hoping to catch one of them soon. Thank you Sushmita. Glad you liked the post and the pics. This is an inspiring post. I experienced scuba diving for the first time in Havelock island two weeks back and I can’t stop thinking about it all the time. I have the same dream to become a certified open water diver now. I have been scouring the internet for all the information and I came across this amazing article. It has inspired me and made me more determined to fulfill my promise to myself. 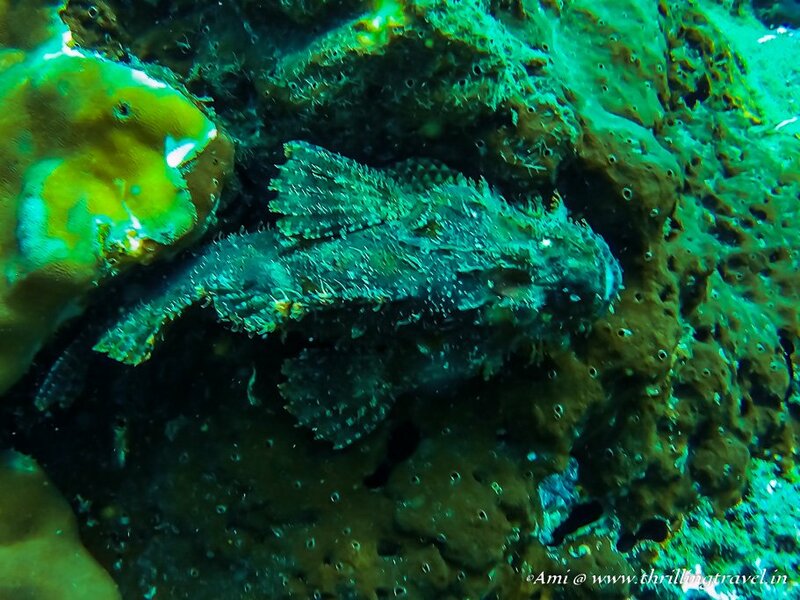 Thank you for sharing your diving experience and all these wonderful pictures. Congratulations on being certified. Just go for it Abhilash. It is one exhilarating feeling. 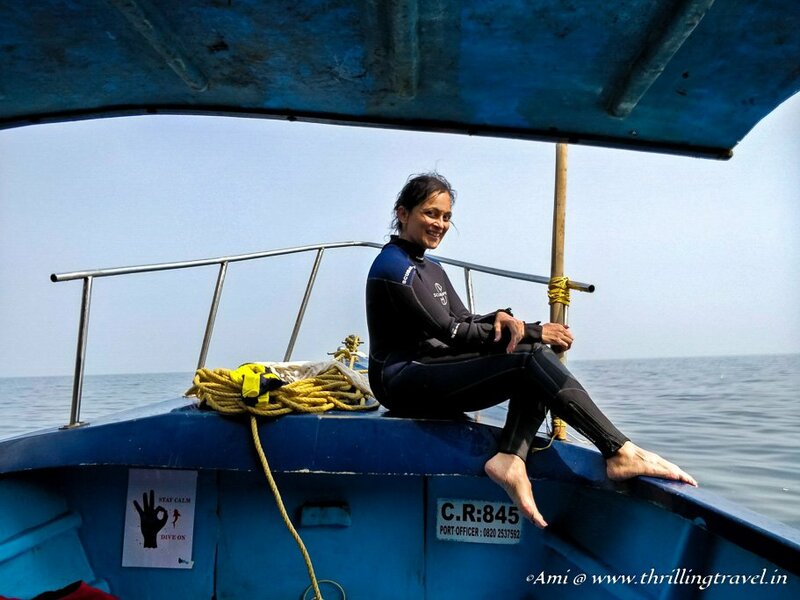 Your post is really amazing.It is inspiring me to go for Padi course since my first scuba dive in havelock.Lot of parent pressure is there.,But still I wanna go for it..I am an amateur in diving and know swimming..Other than netrani island,i wanted to know which is the best place to do open water diver course in mangalore city and udupi areas since it is closer to my home..Any idea?